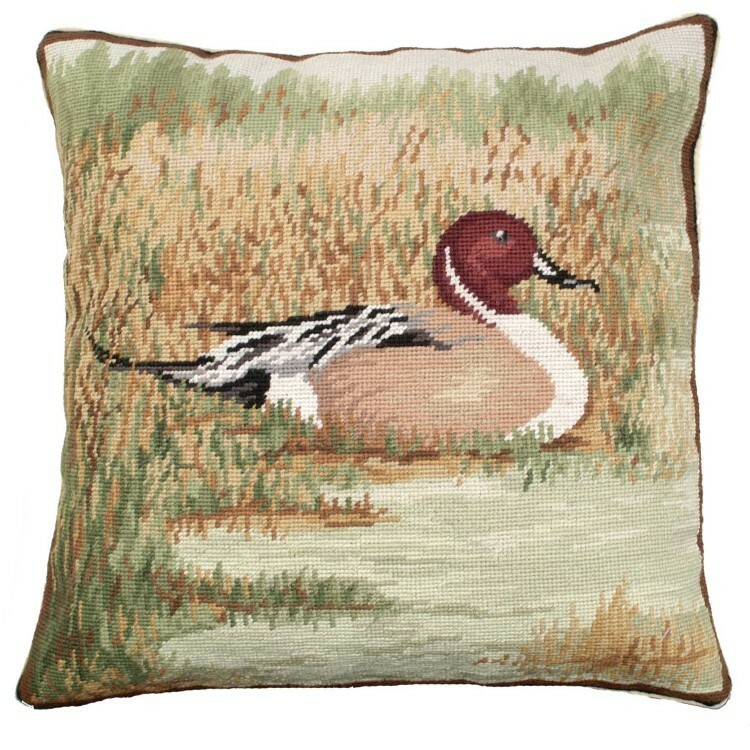 The Pintail in Field Pillow features a realistic Pintail duck as he sits in a golden field. 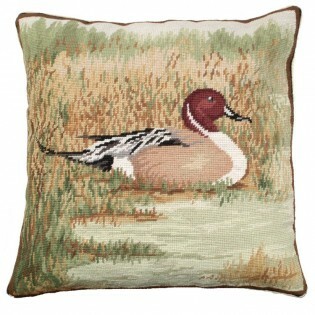 Beautiful colors of rich golds, browns, and greens surround this pillow. Handmade from 100% wool with a cotton velvet zippered back.